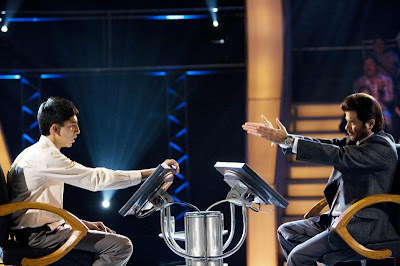 National Board of Review Honors "Slumdog Millionaire"
Slumdog Millionaire has started the awards season off strongly by being named Best Picture of the Year by the National Board of Review. The NBR kept up their Eastwood love by honoring both Changeling and Gran Torino, and awarded Torino Best Actor and Original Screenplay honors. I was glad to see Anne Hathaway get some love for Rachel Getting Married, but am puzzled by Mongol's win for Best Foreign Language Film. Glaring omissions are Revolutionary Road and The Reader, which were totally MIA. Director: David Fincher, "The Curious Case of Benjamin Button"
Actor: Clint Eastwood, "Gran Torino"
Actress: Anne Hathaway, "Rachel Getting Married"
Supporting Actor: Josh Brolin, "Milk"
Breakthrough Performance by an Actor: Dev Patel, "Slumdog Millionaire"
Breakthrough Performance by an Actress: Viola Davis, "Doubt"
Directorial Debut: Courtney Hunt, "Frozen River"
Original Screenplay: Nick Schenk, "Gran Torino"
Spotlight Award: Melissa Leo, "Frozen River"
The BVLGARI Award for NBR Freedom of Expression: "Trumbo"
Mongol is dull. I don't get why it keeps winning things. Thanks for stopping by Nathaniel! I enjoyed "Mongol," but it's a pretty standard historical epic. Nowhere near as good as "Let the Right One In" or "Waltz with Bashir."